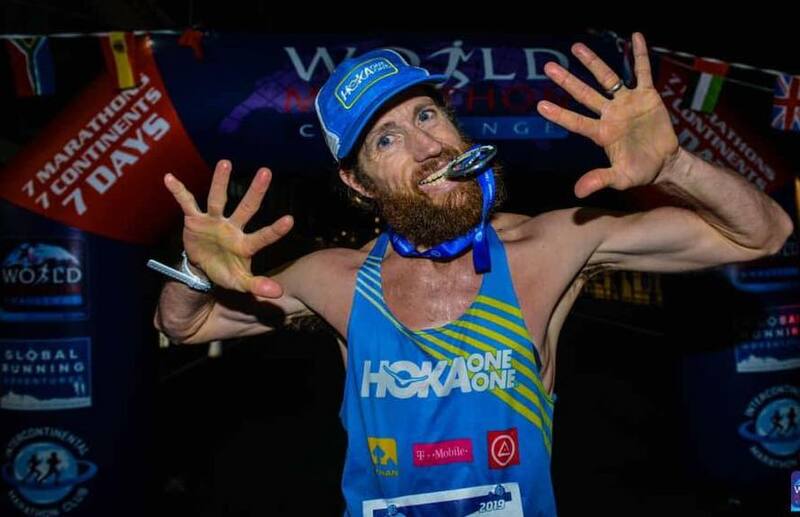 Fresh off running seven marathons on all seven continents in just seven days, Arlington resident Michael Wardian isn’t slowing down. Wardian, one of the county’s most prolific athletes, says he’s planning to run three more marathons in D.C. this week. He’s planning to finish one each day, starting tonight (Thursday) and running through Saturday. Hope you all might be able to come out and maybe even run with me. You don’t have to run the whole way. Wardian already managed to win the men’s side of the “World Marathon Challenge,” compiling the fastest total time across marathons in Miami; Santiago, Chile; Cape Town, South Africa; Perth, Australia; Dubai, United Arab Emirates; Madrid, Spain; and Nova, Antarctica. With the events this weekend, he’s trying to set a new world record for the fastest time across 10 marathons in 10 days. He previously set a world record in the 2017 World Marathon Challenge, and has managed all manner of other impressive running feats over the years. The 44-year-old works as an international shipbroker for his day job. Today’s marathon will start at 7 p.m., giving Wardian some much-needed time to rest, while the other two will each kick off at noon. Anyone hoping to watch can gather at an event hosted by Pacer’s Running at the Hains Point Picnic Area in D.C.’s East Potomac Park.